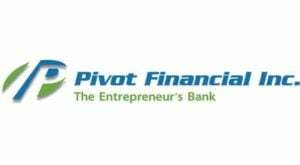 Pivot Financial is a Toronto factoring company that provides cash flow solutions to small and medium-sized businesses. Our services include factoring, purchase order financing, supplier credit financing and asset-based lending. Pivot Financial offers the best financial package for your business, saving you time and money. Our knowledgeable staff will help you every step of the way, even if you're completely unfamiliar with the services that we provide. We pride ourselves on our ability to quickly assess your situation and provide a fast and flexible solution to meet your individual needs. Our philosophy is simple - 100% transparency. There will never be any minimum contract terms, sales requirements, hidden charges or extra fees.